This is going to be a very intense post about something we all have to understand as artists: MAKEUP LIGHTING! Not all of us are science savvy, particularly with optics in this case, but it is something we need to make the effort of learning to better ourselves as artists. 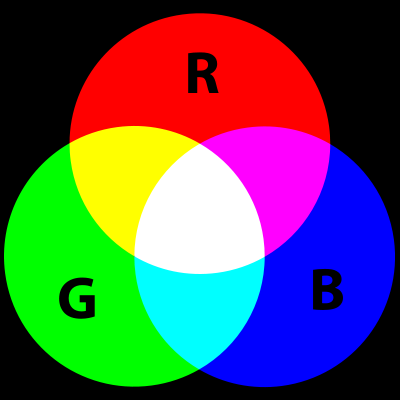 You can see color theory is applied differently depending on light and pigment. All colors combined in pigments create black, all colors in light combined make white. This is where the importance of BALANCED, WHITE LIGHT comes into play. How could you possibly see the actual hue, chroma and value of a makeup product when your lighting isn't correct?! Above is a cheat-sheet chart I whipped up for this post. As you can see, proper lighting is just as crucial as understanding basic color theory for makeup application! At the end of this post, there will be links to other helpful resources to further your knowledge! Today we have so much new technology when it comes to lighting! LED lights are now a makeup artist's saving grace since they are cool to the touch and give reassurance the light itself won't cause a makeup melt down. If you look back in time, and in some cases now, a lot of studios would use incandescent bulbs in a small studio room that would basically turn it into a sauna as well as giving improper light temperature to work in. Incandescent bulbs contain a filament that "incandesces" with electrical excitation. Fluorescent bulbs diffuse light by a scattering cross of light rays that will give an overall illumination since there are not filaments inside them, but a gas that give those lighting values. That being said, fluorescent lighting cannot be directed or focused unlike incandescent bulbs. Now that technology has evolved so much, there is less light needed for an image to register which demands more natural colors instead of bright, obvious makeup for extremely bright, intense lighting which was used in the past. Here is a visual for you to understand light temperature and its comparisons. The best light to do makeup in is balanced, white light. This would be 4800K-5000K (CRI 98-100) since it isn't too warm or cool, its just right! When you do your makeup in balanced, white light, you see every color value of everything at its truest. You see the person's skin and all of its tones and you see the actual color of the pigments in your makeup, two of the main things that will determine the quality and success of your makeup application. When makeup is applied in balanced, white light, it will appear properly under different lighting! You're probably wondering now which lighting systems are available and which one is the best! I'm going to give a quick breakdown on 3 popular systems I see being discussed and purchased the most. This is the GLAMCOR Classic Elite Light. This features two arms with LED bulbs "HD Daylighting" at 5600K, multiple dimmer settings, and no cool down time for packing up. This is The Makeup Light Master Key Light Set in this photo. The Makeup Light offers different packages of their Key Light and a vanity set up as well. These lighting panels are LED bulbs that are at 4800K-5000K with multiple dimmer settings, 5ft projection length and 2500 lumens (time rate flow of light). They are also environmentally friendly with energy-saving LED bulbs and recycled materials. No cool down time on this as well.